High quality vanilla extract is essential to a baker. 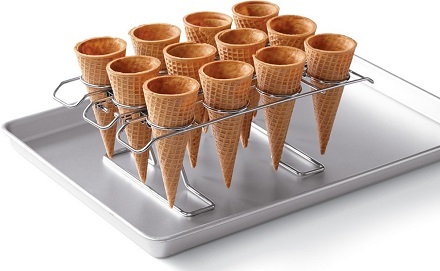 Vanilla is a rich, complex flavor – despite the idea of “plain vanilla” being ordinary – that has the unusual ability to not only taste delicious on its own, but to make other flavors taste even more delicious. While some tastes tests have found that artificial vanilla extract can fool tasters in some recipes, there is nothing like the real thing to bring creamy and floral notes into my recipes. I use pure vanilla extract (and vanilla beans, when I need them) in most of my recipes and recommend that you do the same. 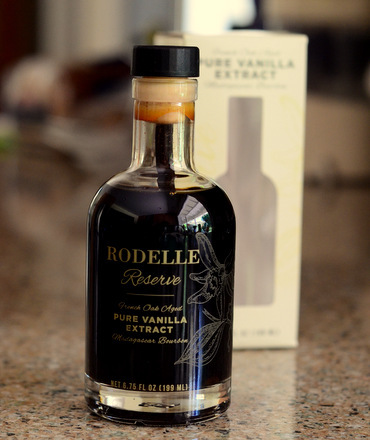 If you’re a vanilla-lover like me, you might want to add Rodelle’s Reserve French Oak Aged Vanilla Extract to your wish list for the holidays or any upcoming special occasions, as this premium vanilla extract has an unusually complex flavor profile that vanilla-fans will really enjoy. I first had the opportunity to sample this vanilla when I visited Rodelle’s headquarters in Fort Collins, Colorado. The vanilla is not available for purchase yet, but the first batch has just been bottled and is ready to ship. Small batches of their premium extract were transferred to French oak barrels and allowed to age for several months. Fans of whiskey and other aged spirits will know that oak aging adds nutty vanilla flavors to spirits, and it does the same here. The vanilla seems richer and more intense than your average extract. Even if you taste it straight out of the bottle (which every baker has been tempted to do at least once, given how good vanilla extract smells), it is surprisingly smooth. This is not a vanilla to add to your chocolate cakes. This is a vanilla that you should use in vanilla ice creams, pound cakes and custards where the vanilla flavor will be allowed to be the star of the recipe. It is also a vanilla that makes an amazing gift for someone you know that is passionate about baking. Like other vanilla extracts, this one has an extremely long shelf life, so there will be no rush to use it up and you’ll be able to make the most out of every drop in the bottle! 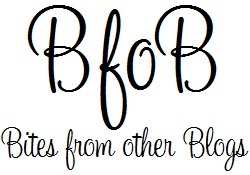 So, I see buzz about this stuff online but nowhere to buy – do you have an affiliate link? Thanks!